The quiet and picturesque community of Golden Valley lies in the Sacramento Valley, within the Northwest section of the Grand Canyon State of Arizona. 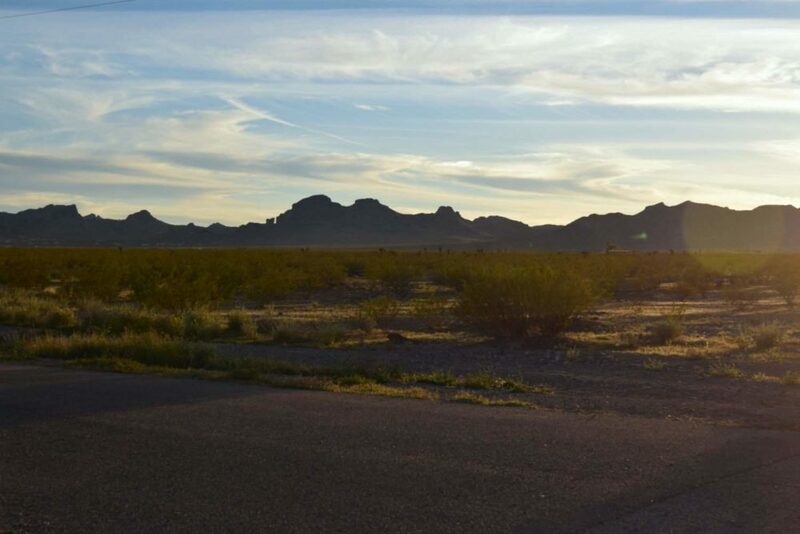 Golden Valley doesn’t have much to offer, but it is along that famed highway, Route 66. Grand Canyon Caverns is roughly 45 minutes away, along with a few state parks and national wildlife refuges. There is a state “medium security” prison in town known for its escapes and riots in the recent past. 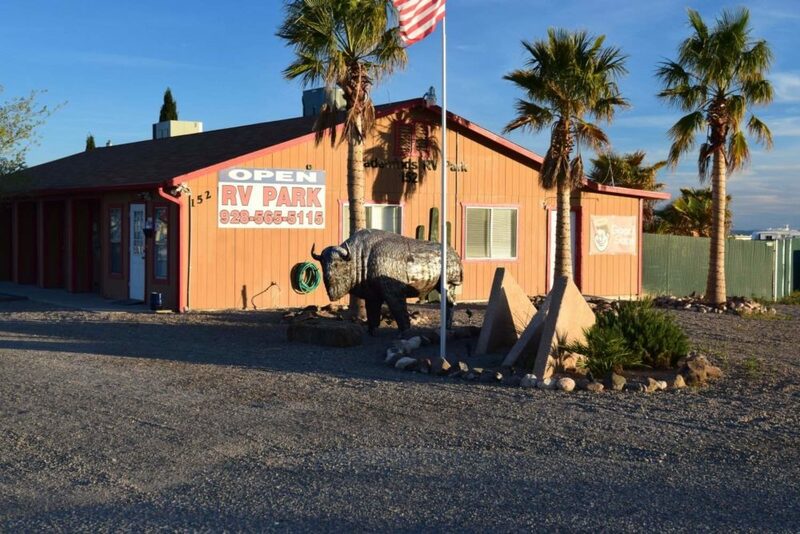 We selected this place because if its discounted price, but didn’t stay for long since we only wanted to visit two locations, Grand Canyon West and Hoover Dam, both were 90 minutes away. 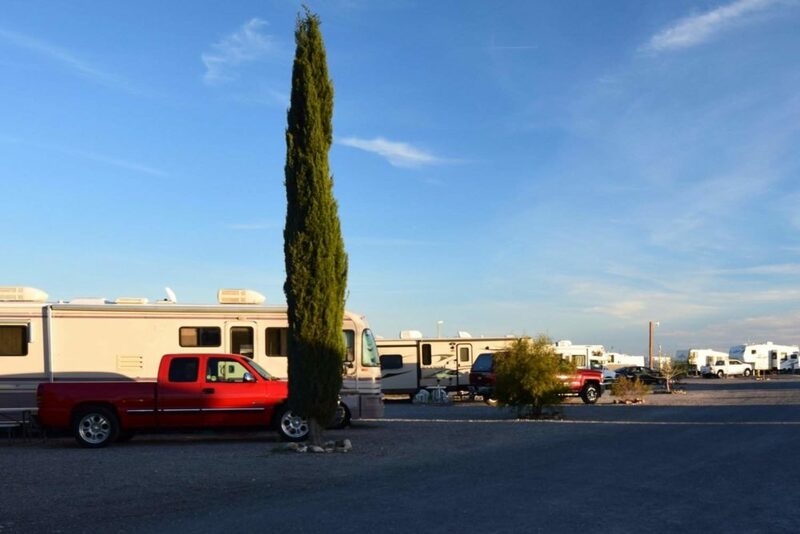 Tradewinds RV Park in Arizona is akin to a nice travel motel. They don’t have very many amenities but what they do have is of good quality. This was a quick stop for us, just long enough to visit Hoover Dam and Grand Canyon West (an amazing place). After our prior stay, the internet here was a blessing. Each and every time we tried to connect, we got a connection and it stayed connected. The only down side was it was throttled way down such that videos on facebook and the like would load very slowly and downloading or uploading anything more than a still picture was going to take you a good long time. None the less I’ll happily take reliable and slow over internet that only works when the stars are in proper alignment and the proper sacrifices have been made. 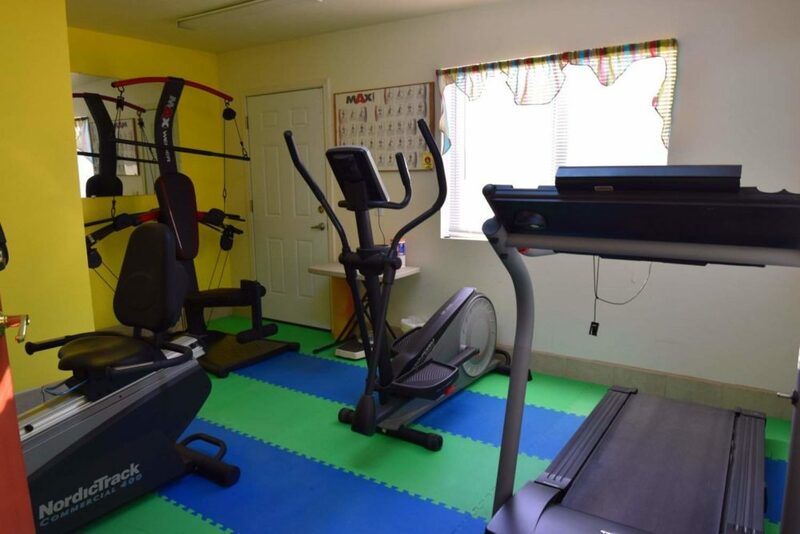 The property is decorated with old farm equipment and includes a nice horse shoe pit and some other simple amusements. The buffalo statue out front is also a real gem. Clearly the proprietors care about the property and take some pains to make it a nice place to be. 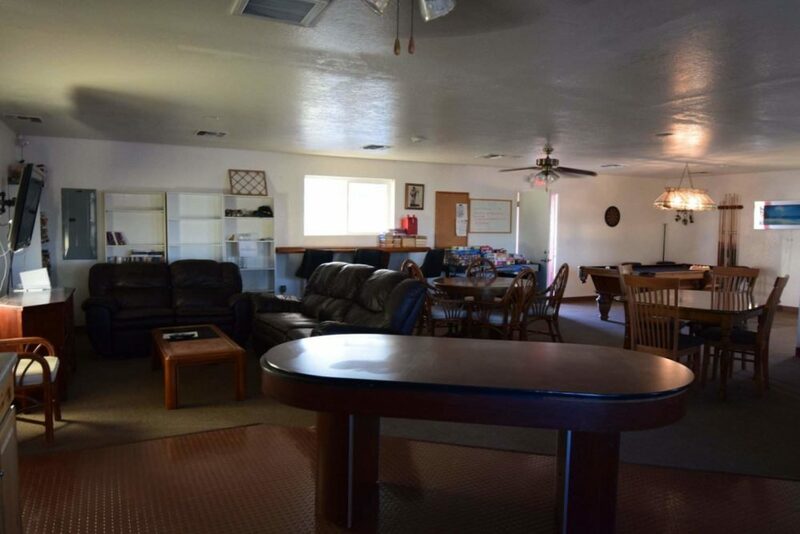 The clubhouse is especially comfy and has all the right conveniences. Nothing too fancy, just practical stuff and comfortable places to sit. 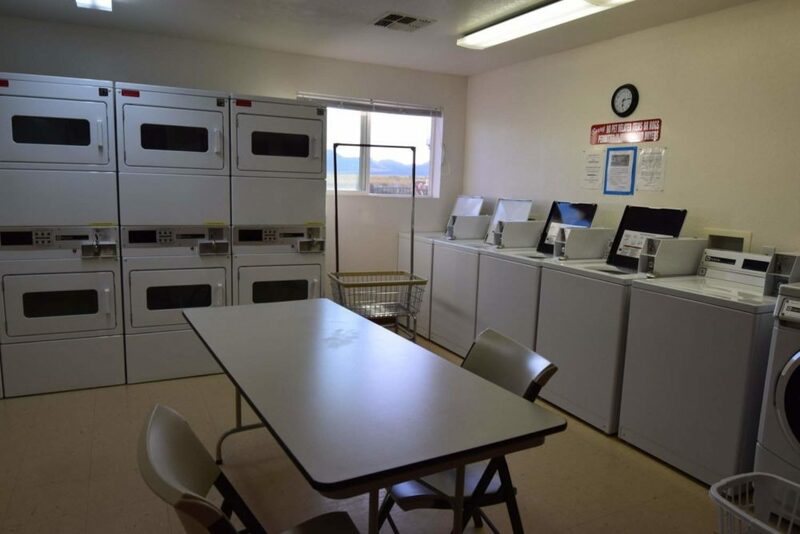 The laundry room is also quite nice and everything is in working order. 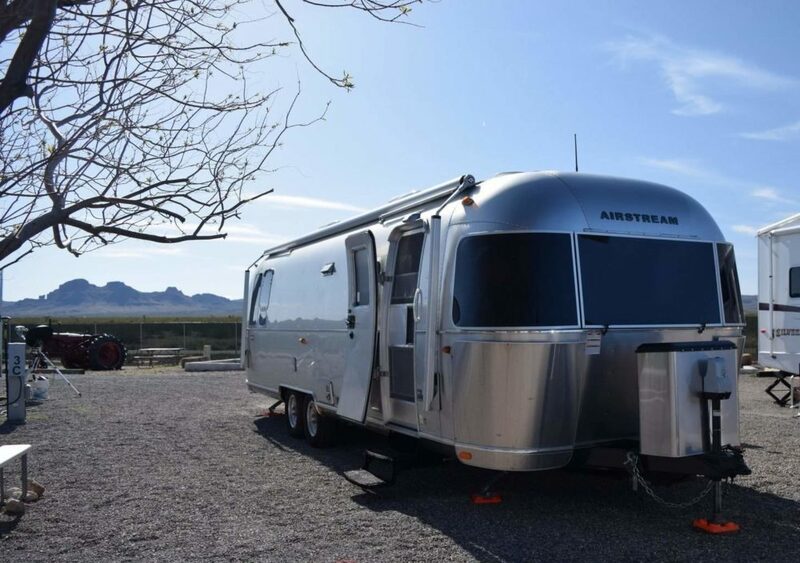 If you are there longer than a few nights they expect you to use your own showers and lavatory for the most part. The park only has two bathrooms, both well appointed and have showers but not intended for commercial use. 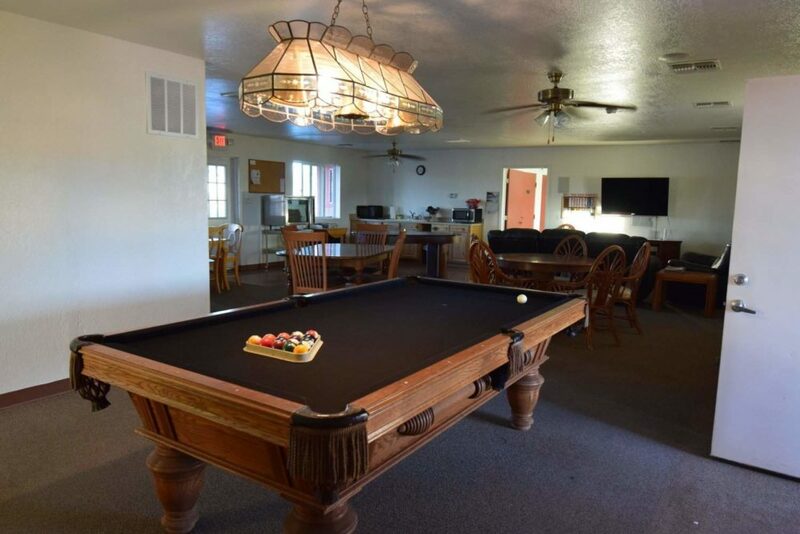 All in all I would recommend Tradewinds for short stays up to a week or less, and if you are simply looking for a clean quiet place to stay and don’t feel the need for pools, showers, and the other amenities common at larger parks.